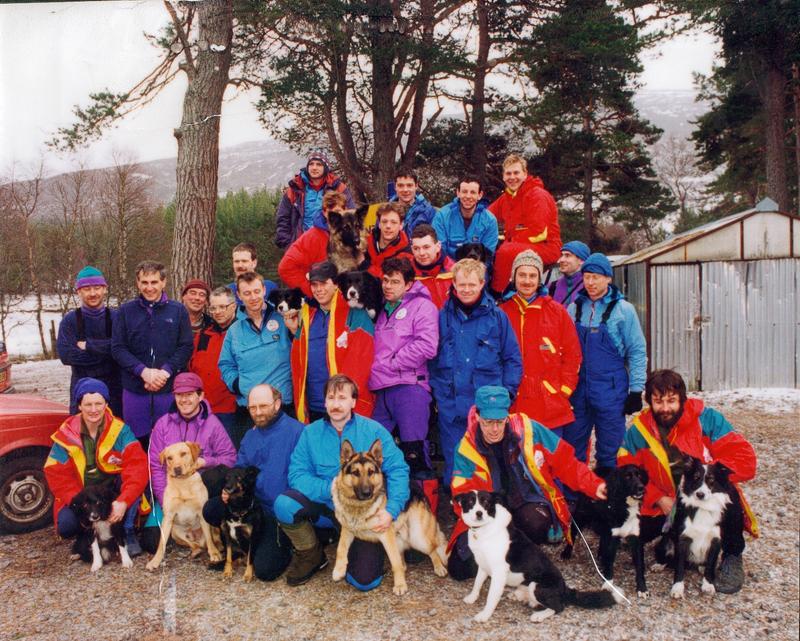 The 50 th Anniversary Of SARDA, The Search and Rescue Dog Association. Congratulations. There was dinner in Fort William to celebrate the 50 th Anniversary Of SARDA last weekend. One of the founders of the organisation Hamish MacInnes attended along with many others, it was I hear a great celebration of an incredible organisation in Scotland. I have been involved with Mountain Rescue for nearly 40 years mostly with the RAF Mountain Rescue Service where I served in Wales and Scotland. I also worked as a Controller at the Rescue Centre at RAF Kinloss in Scotland for the last 4 years. I feel this gave me a unique view of SARDA both from the hill and from a coordinators point of view. I have been privileged to see what a well – trained Dog and handler can achieve all over UK. I eventually became a Team Leader and one of my missions was to look after SARDA when they like the RAF Teams travelled far from home on the big searches. Many times we had several dogs and their handlers staying with us in the village halls for several days and I feel we built up a great bond built on mutual trust. We fed them and looked after them as best we could and ensured they were all safely off the hill after a big search. It was sad that at times a few missed out on the recall after a rescue and continued to search long after the search was over. Thankfully these days are over and SARDA have lots of back up and support and work in tandem with the Mountain Rescue. It was also such a great asset to have the SARDA Dogs nearby when we were working in remote and extremely high avalanche conditions. It was at Lockerbie where many SARDA dogs were used for weeks after the tragedy and this unsung work has never been recognised. Many of the handlers and dogs suffered from PTSD and many handlers still bare the scars as this was an exceptional tragedy and affected them badly. Things hopefully area a lot different and the training and experience of SARDA is now outstanding. In this tragedy many SARDA Dogs assisted from England and Wales and did incredible things during this period. SARDA is a unique organisation made up of exceptional men and women, where media stars and sportsmen are classed as heroes we in Britain rarely salute our real heroes. SARDA is full of such characters many that quietly go about their incredible work saving so many lives not only in the mountains, but now on all types of searches in urban/ rural terrain. They are rightly recognised as an exceptional rescue asset. How must the early pioneers of SARDA in the UK must feel to see how this organisation has grown from strength to strength. As in other walks of life the dedication of SARDA is hardly noticed but it is their families who bare the brunt of yet another call – out. How many birthdays have Dad and Mums missed for the family when they are called away in the middle of the night. They always respond, they have a sense of duty and such a care for their fellow-man or woman. 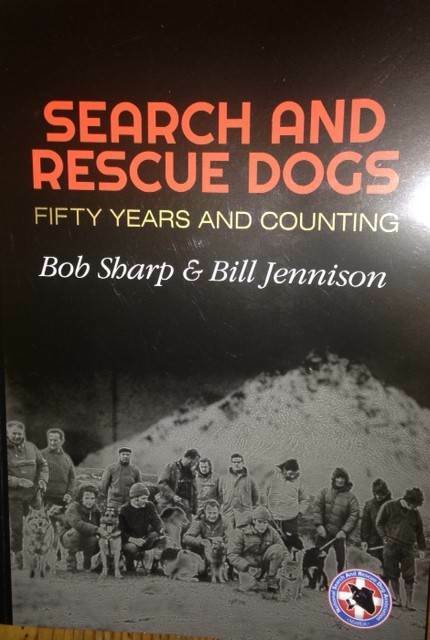 There is a new book out on Search and Rescue Dogs I am sure this book will give the public an insight into another world where man/women and dog become as one on a search. It has been a great privilege to work with SARDA over the years. 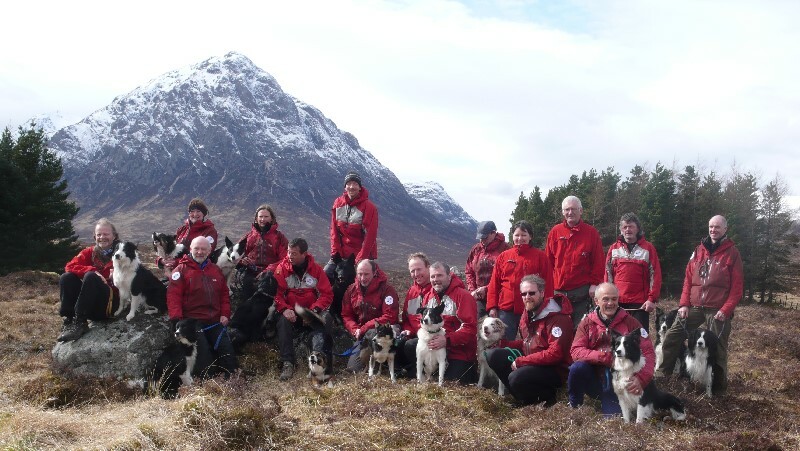 It costs a lot of money to keep a Search Dog , Scotland has two organisations and are always in need of funding, can you help? We are a charity organisation which trains dogs and their handlers to search for missing persons. We cover all of Scotland, 24 hours a day, 365 days of the year. SARDA (Southern Scotland) can provide search and rescue dogs in Central or Southern Scotland at any time 24 hours a day 365 days a year. The future looks busy for SARDA with all the changes in technology and equipment but a good Search dog never changes. The training and Assessment of handler and dog is intense as has the use of Search Dogs by the Police. They are an incredible asset and must never be taken for granted and it is great to see if there is a big incident like an avalanche then there is a plan to get as many dogs and handlers to the scene as quickly as possible. I hope this is still in force and can still be achieved, maybe this winter will remind us of their use-fullness? 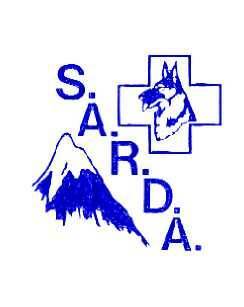 All the best to SARDA throughout the UK for a safe winter and another 50 years of great success and so many lives saved. This entry was posted in Book, Charity, Equipment, Friends, Gear, Mountain rescue, Views Mountaineering. Bookmark the permalink. 2 Responses to The 50 th Anniversary Of SARDA, The Search and Rescue Dog Association. Congratulations.